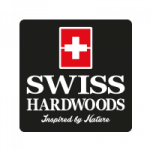 For those looking for a floor with simple elegance, Swiss Hardwoods PCA White-Smoked Oak is fitting. The single strip 7 inch (189mm) wide boards with its pale timbre are ideal for a more casual yet elegant space that is enhanced with vibrant and colourful furniture. The understated look of this floor allows scope for cheerful and bold upholstery or a set of brightly coloured bar stools or any other piece of decor that will pull the eye up and away from the floor. The reassuringly deep sound under foot when you walk across the floor is just right, even after the smell of cut wood has worn off, the indoor air remains fresh, with zero volatile Organic Compounds emitting from a natural product, a Swiss Hardwoods oiled wood floor adds to the indoor air quality.